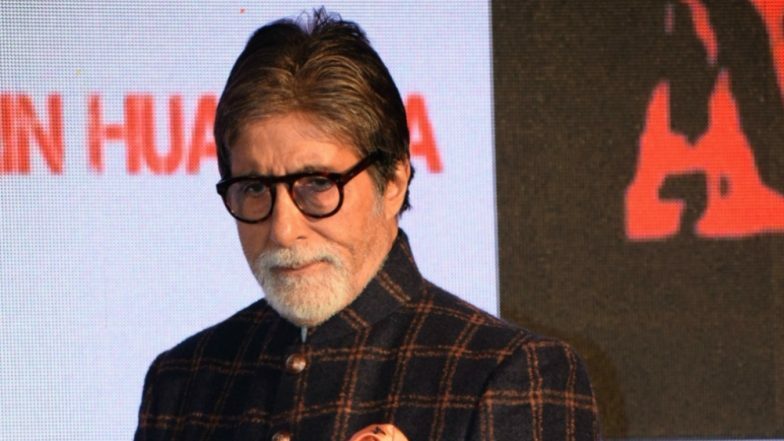 Mumbai, April 10: Megastar Amitabh Bachchan is upset that not enough has been said on the "silent success" of his latest film "Badla", directed by Sujoy Ghosh and produced by Shah Rukh Khan. "About time someone started talking about this silent success! Because neither the producer, nor the distributor, nor the line producer, or any else in the industry, in general, has even spent a nano second to compliment the success of this film 'Badla'. Thank you," Big B tweeted on Wednesday. Amitabh Bachchan Upset to See No One Complimenting Success of Badla, but Shah Rukh Khan’s Response to Big B’s Concern Is EPIC – Read Tweets. Shah Rukh, known for his quick wit, responded: "Sir hum toh wait kar rahein hain ki aap party kab de rahein hain hum sabko (Sir, we are waiting for you to throw a party for all of us! We are waiting outside Jalsa every night!" Shah Rukh continued the banter by commenting: "Sir film aapki hai… acting aapki hai… Hit aapki wajah se hai… aap na hote toh film hi na hoti. Toh party…bhi (Sir, it's your film, your acting, a hit because of you. The film wouldn't have been possible without you... So party also...?" "Badla", shot largely in Glasgow, Scotland, is a mystery thriller which also features Taapsee Pannu, Amrita Singh, Tony Luke, Manav Kaul and Tanveer Ghani. Tapsee Pannu's 'Lover' In Badla, Tony Luke, Reveals The Reason behind His Heavy Mallu Accent In The Film - Watch EXCLUSIVE Video. The film is produced by Red Chillies Entertainment and Azure Entertainment. An official adaptation of the 2017 Spanish film "The Invisible Guest", its story follows an interaction between a lawyer and a businesswoman regarding a murder. According to trade analyst Taran Adarsh, the film is a "superhit" as its India business stands at Rs 85.26 crore since releasing on March 8.